Thread in 'Discussion' started by Report, 29 Jan 2008. The CW and CCW rotations seem inverted between Classic and World in Texmaster. Is this how it really was in TGM3, or is this some kind of bug? It is not a bug, it emulates TGM3. I believe the reason for that is that TTC Guideline at the time TGM3 was released specified that the rightmost rotation button had to rotate the piece clockwise. I do not recall seeing this question asked yet, but is it possible to get the source of Texmaster? It's got very good TGM emulation, and I'd like to be able to crosscheck Nullpomino's game automaton against what Texmaster does, or spit out more statistics from it... it seems like the development is done by a secret club somewhere. it seems like the development is done by a secret club somewhere. Texmaster is made by Report, who is a member on this forum. There isn't anything secret about it, but I don't think he wants to share the source code. That's a shame, but having dominion over his creation is definitely justified. For some reason I thought you worked with it too, hence "club". Thanks for the clarification! Is there a way to adjust the colour palette of the pieces and menus? I'm using the 2009-beta2 download, the most recent macOS-compatible version, and I can't see any way to modify them, so all the text is the same shade of yellow, which becomes a little tough to navigate when looking at replays. And not having all of the pieces be unique colours is naturally messing with my ability to prepare for the next piece without having to focus on the top of the screen for a moment. I also watched a replay that had the classic TGM piece sounds, which I have, but I'm not sure what to name each of the files, if someone can let me know. Finally, changing the background brightness value in the settings file doesn't seem to do anything, but I imagine I can just jack up the brightness myself in an image editor, so that shouldn't be too much trouble. EDIT: Jacking up the brightness not an option, turns the whole image blue when loaded in Texmaster for some reason. So I may have to just live with not being able to easily see the grid lines until I can build a PC and play the newer build or actually emulate. Also, I remember that the file "applehouse" in texmaster is for "applause". If you're saying everything is tinted yellow, that's a bug. I forget what the resolution was (whether there was a different version that worked on Mac properly, or some sort of workaround on that version in particular -- I think it's discussed somewhere in this thread). The seven pieces should each be a unique color already, but the tint bug would result in some colors looking identical. Ah, yes, looks like it happens when increasing the resolution beyond the default 320x240. The only workaround proposed was to use the accessibility zoom to play, which, on top of being blurry, is just kind of a pain. Otherwise I have the option of wrapping the EXE in Wine and dealing with input lag. Not sure what I'll do just yet. I tried to download version 5 of Texmaster since the last days for my Raspberry Pi arcade - but I can't reach the mindfly.net server. Does anyone can upload the recent version of the PC and Raspberry Pi build? Has anybody noticed any performance issues with Texmaster on Windows 10 lately? I've only played on W7, and done so since about last year. However, I finally decide to upgrade my laptop to W10 earlier this year (January or so) and ever since then Texmaster would experience significant slow down for a couple minutes, and then it goes back to normal. This performance slow down will occur every five minutes or so. And closing out and restarting the program doesn't fix it all the time; it's hit or miss. Additionally, when opening the program, it will load the window then immediately close, so I have to open the program multiple times until it fully loads up. So, I thought that maybe it was just my laptop. Over the summer, naturally, as one does in this situation, I built a brand new PC. Nothing special. W10, Ryzen 5, GTX1050. I get the same exact performance issues as above. 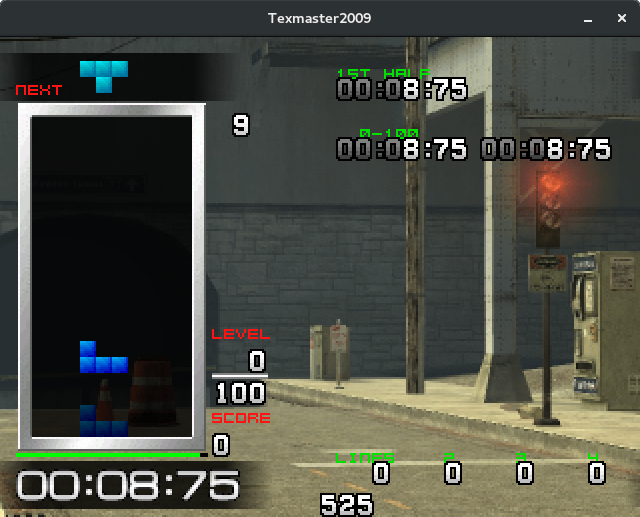 I've tried multiple versions of Texmaster, different arcade sticks, different resolutions and settings in the .ini file, and even brand new downloads of Texmaster without any kind of modifications. Still experiencing the strange slow down. Then I thought, hmm, maybe I'll try on another computer, so I downloaded Texmaster on a friend's PC that's beefier than mine, but the same exact issue persists. From my testing, I think I've come to the conclusion that I've isolated it to W10 specifically and not some sort of random third-party program / process in the background, because the behavior is consistent on multiple machines, and W10 is the only common factor between them all. Do I just have really bad luck? Am I missing something that probably answered this already in this thread or another thread (I did do some considerable digging here but couldn't find anything)? I just want to get back to playing this wonderful game again and not have to deal with the constant slow down. Don't worry to much about me, though. I still do play, and tolerate the slow down. I love Tetris too much to stop. But I'm very curious if other people are experiencing it, and what could be the cause. I don't know what to tell you, Alexaus, it also works just fine for me on Linux Mint, Debian, Windows 10 and even on RetroPie. One bug I found is that the game crashes/freezes in double when clearing line(s). 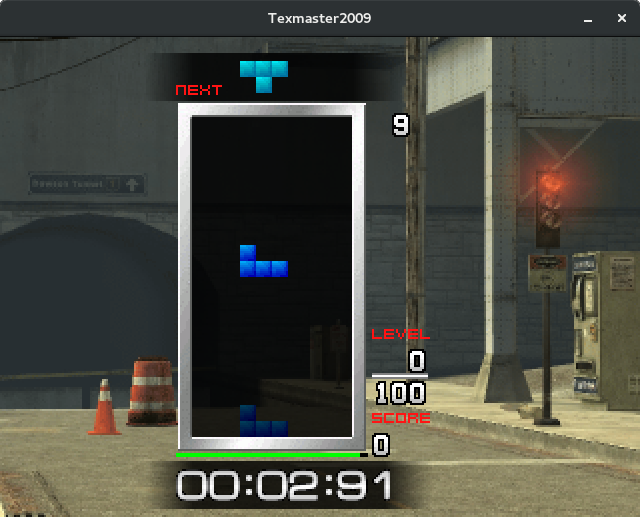 I don't know exactly how to replicate the bug yet and if it's only particular to Texmaster2009-5 on a Raspberry Pi, but it ends up happening at some point in every double game I attempt. I have this exact same problem. It slows down a lot randomly. My laptop with windows 8 works perfectly with texmaster, but not desktop with windows 10. My speculation that it's something to do with drivers but im not sure. Alright, so it seems like I'm not crazy. But seems like I'm still way in the minority even though it's such a small sample size. Around the time I originally posted there was a Windows update and I had hopes that maybe it'd miraculously help the performance of the game even though Windows updates and a fan-made program have almost nothing related to one another, but I still held on to some hope. But still to this day, I'm experiencing the slow downs. As I've said, I'm okay with it, but I think I'm more curious as to why rather than a fix. It's just a really interesting and mysterious circumstance.